Here's an extract of what many strategic decision-makers worldwide say about the GDN Consulting Firm & its founder Giovanni Di Noto. "My company has worked with Giovanni and his Firm on software implementations for a number of our clients and his work has been really exceptional. We would recommend the GDN Consulting Firm anytime and the 2012 national ITAC award for the best aged care software implementation is testimony to that. Part of his organising strength is that he brings people with him. His skills as a 'change agent' are what makes the difference. It's what continues to work when he is finished that counts." "I was impressed with Giovanni's wide range of expertise in software engineering, the strong foundations in cloud computing and his ability to formulate a complex problem in a simplified manner. He also showed his ability to think out-of-the-box and try new approaches to a problem. Overall, I am extremely impressed with his passion and hard work. I look forward for another chance to work with him." "Giovanni Di Noto provided very creative and pragmatic sounding board for us as we developed Earth Hour in the early days. Giovanni is great to work with and someone capable of navigating complex challenges with creative responses"
"The GDN Consulting Firm was recently engaged by Carrington Care to complete a feasibility study, develop an implementation plan before to head a project team to implement a leading-edge care management and clinical information system. The GDN Consulting Firm’s professionalism, outstanding communication skills and dedication were instrumental in managing successfully this benchmark smooth and issue-free implementation. 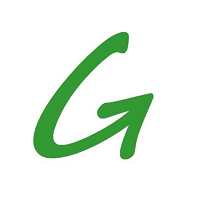 The GDN Consulting Firm will remain a friend of Carrington forever and I fully recommend them to assist any organization in the implementation of any IT platform and system"
"We’ve engaged the GDN Consulting Firm to fully manage all aspects of a complex, sensitive and very challenging transition programme to introduce wide-scope technology platforms and new systems within our healthcare organization. The project was successfully delivered before time, below budget and well beyond our wildest objectives: in 5 months, the GDN Consulting Firm propelled our entire organization into the 21st century, triggering along the way long-lasting and deeply positive cultural changes with our entire staff base. We are amazed and grateful for the GDN Consulting Firm’s outstanding performance and look forward for a long relationship with this leading-edge firm on future projects"
"Giovanni Di Noto consistently innovates and pushes the boundaries"
"Giovanni Di Noto backs up his strong strategic vision with the willingness to do what it takes to get the job done properly. He has a history of delivering on world class projects with a focus on strong customer service and enhancing value"
"Giovanni Di Noto is a brilliant professional, very knowledgeable, always prepared to go that extra mile, open to new ideas and an out of the box thinker. He has amazing leadership skills, strategic view and is very personable and friendly. I considered myself lucky for having had the opportunity to work with him"
"Extremely professional, capable and creative. An asset to any organization"
"Giovanni Di Noto has achieved a lot of excellent outputs regarding web marketing and eCommerce"
"I have worked closely with some of Australia largest corporations for 30 years and, without doubt, GDN is one of the best"
"Giovanni Di Noto is a brilliant strategist, wonderful visionary and true motivator of people. I was extremely fortunate to receive guidance, coaching and direction from Giovanni. He is never afraid to challenge the norm and his ability to juggle and produce meaningful results on multiple facets of business at any given time, has been truly inspiring. Giovanni`s tremendous motivation, flexibility, and ability to quickly adapt to any project can be considered, in my opinion, invaluable assets to any business enterprise Giovanni applies himself"
"Giovanni Di Noto has been the single most influential person in my career. His vision and passion for delivering world-class projects is truly inspiring. The integrity and enthusiasm he applies to every situation, together with his ability to motivate all stakeholders is both exceptional and unique"
"Giovanni Di Noto is an extremely refreshing thinker & strategist. His responses & suggestions on sustainability issues are highly enlightening. His professional interests cover a wide spectrum & I would love to continue interacting with him & get new visions for issues from a strategic perspective"
"I’ve been very satisfied utilizing the GDN Consulting Firm’s services for the past few years. I am particularly impressed with Giovanni’s strategic vision, thorough business acumen, analytical capabilities, second-to-none planning skills and ability to quickly turn to reality high-level complex concepts and ideas. I look forward to working with the GDN Consulting Firm again." "It has been over a decade now since I started working with Giovanni, and a common thread to all the successful ventures he’s involved me with, is mind-blowing innovation. Irrespective of the industry or organisation that he casts his eyes on, Giovanni is always operating many steps ahead of most, and often beyond what others perceive to be the forefront. Gaining insights into Giovanni’s strategic thinking, technology breakthroughs or unique business concepts is an extraordinary experience"
"Giovanni Di Noto is a wonderful human being and a pleasure to work with. With a seemingly insatiable intellectual curiosity and incredible people skills, Giovanni manages to put together novel and creative solutions to deliver positively on large-scale and enterprise-wide initiatives"
"Giovanni Di Noto is one of the most innovative people I know. He is extremely passionate, committed and intelligent on a wide range of subjects. He is not afraid to roll up his sleeves and never walks away from a challenge"
"Working with Giovanni is truly like working with a modern day business Oracle. His insights, wisdom, attention to detail, innovation and professionalism are all coupled with his deep sincerity and intelligence to make him a remarkable business partner; as well as a superior business role model. Experience like his is really beyond invaluable"
"Giovanni Di Noto comprehends how web sales complements traditional channels and vice versa. His grasp of the figures and ability to interpret them into an actionable plan to improve online sales is a great strength. On top of this, Giovanni knows how to motivate a team and keep them focused"
"We have worked with Giovanni Di Noto on several software implementation projects. His project and change management skills are excellent. He is meticulously prepared with his work which always leads to successful projects that are on time and on budget. Giovanni also has a fantastic ability to communicate with all levels of staff, from the bottom, all the way to the CEO at the top"
"Giovanni's great energy, enthusiasm and passion for whatever projects he is involved with are outstanding. A tireless and committed worker, he applies his considerable strategic talents to getting the best possible outcome for his clients at all times and his attention to detail, meeting deadlines and finding solutions to seemingly daunting challenges make him a very powerful ally to have on your team"
"I had the good fortune to work with the GDN Consulting Firm on an important, mission critical application implementation at one of our clients. Giovanni managed the entire project including application scoping and selection, vendor liaison (including us from an infrastructure perspective), user training and project sign-off. Overall, I found Giovanni competent, professional and thorough, and I hope we get the opportunity to work together again." "Giovanni Di Noto is a very well respected leader who is a pleasure to work and deal with. He has effortlessly held senior roles and has the innate ability to deal with all levels of management, easily and without clutter and fuss"
"Giovanni has made great contributions to our company with his strong leadership of the online business in Asia Pacific in collaboration with the Asian regional team. He has a pure customer-centric mind and, with his integrated marketing approach, has transformed Sony Australia's online presence and workflow, and also increased customer satisfaction"
"Giovanni is a talented business person. He is outcomes focused and tenacious throughout any project. His people skills and ability to develop a bridge quickly are significant assets in any negotiation"